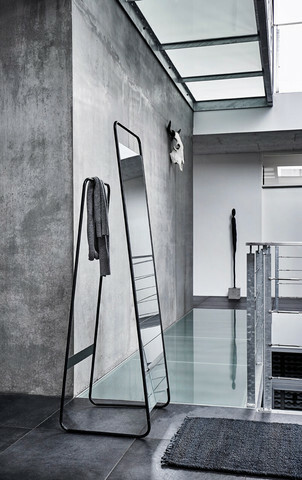 The Muubs Mirror Stand is made with a stand that gives you the opportunity to decorate your home, as you want and can move it around as often as you like. The stand is designed so that clothes can be hung on the back of the mirror, giving you extra storage space. Use Copenhagen in the bedroom, or entrance hall and combine storage with mirror.